Everyone’s familiar with the cinematic image of the solitary boxer waking up at the crack of dawn to jog, rain or shine. Or using ropes tied to logs, sides of beef hanging in a walk-in cooler, and other items to train all by themselves. Sure, these images make for great movies, but for most people in the real world who are serious about boxing training there’s still no substitute for training in a boxing club, Bournemouth. The truth of the matter is that Boxing training (either as part of a class/group or one-on-one personal training) is some of the best exercise a person can get, and it’s not just for the tremendous physical benefits. Yes, boxing training does greatly improve a person’s musculature, cardiovascular stamina, and overall coordination, but it also sharpens mental focus and heightens feelings of confidence, self esteem, and self awareness. We have the best boxing club Bournemouth, Southampton and Gosport residents have access to thanks to our highly experienced professional trainers and state-of-the-art boxing equipment. This includes all of the weight training equipment (both machines and free weights), heavy bags, medicine balls, gloves and protective gear. Simply put, our boxing clubs are fully equipped with everything you need for a full body workout with optimum results. What’s more, our expert trainers will keep you moving—you’ll never find yourself sitting around or with any time to get bored. Our boxing instructors will help you move through the various stations and you will start to notice progression within only a few weeks. Eventually, if you want, you will be ready to step into the ring and do controlled sparring for real. You may even realize that you have what it takes to be a serious contender in top amateur bouts in your weight class. Or, alternatively, it may be the case that you have no aspirations to fight competitively, but are looking for the comprehensive and complete physical and mental training that is unique to boxing. Here is a rundown of just some of the benefits and rewards you can expect to see when you come in to our Boxing Club Bournemouth for regular and serious training sessions. You’ll probably never find yourself in a situation where you have to defend yourself from an attacker, but if you do you will be well equipped and prepared to do so as a properly trained boxer. Being able to read a would be attackers movements and then counter with powerful and precise punches can help you get out of a dangerous predicament. You don’t just workout your arms when you train at a boxing gym. Yes, you will develop extremely strong and developed arms with rock hard fists, but you will also develop extremely strong abdominal muscles as these are needed not only to resist body shots, but also have the force necessary to stop, start and change direction that is so crucial in boxing. This is a great video on the complete body workout you can expect: We trained like boxers for a month. Also, exercises that strengthen the legs, glutes, and waistline are crucial to boxing training. The shoulders and the back need to be strengthened too as they’re necessary for returning punches. The neck needs to be extra strong too in order to withstand punches. You burn lots of calories during a boxing training session too, as many as 500 per hour (easily). As such, boxing training – in addition to proper diet that our trainers can help you with too- can help you reach your weight loss goals. After a few hours of punching, doing sit ups, jumping rope, sparring, doing ducking exercises, and more, you’ll be left feeling spent—in the best possible way. Again, many of the exercises during your boxing training sessions are aimed at improving your stamina and resistance. When you first start coming to our boxing clubs Bournemouth, Southampton and Gosport, you’ll be lucky if you can go through a single round of light sparing without being left doubled over with your hands resting on your knees, gasping for air. 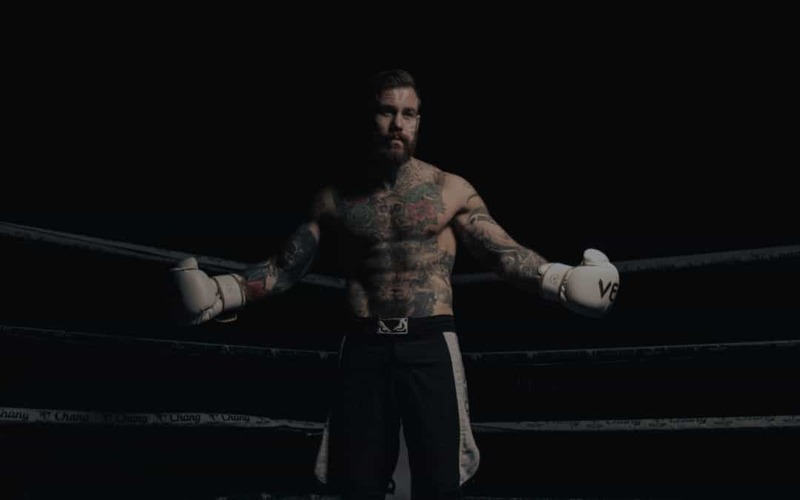 Nonetheless, the goal is to be able to stand your own in the ring for 12 entire rounds, and this requires a strengthened heart and more powerful lungs. By coming to our boxing gym for two or three sessions on a weekly basis you will start seeing changes in your energy levels and your resistance. Not only will this help you go the distance in the boxing ring, but it will help you with all aspects of your life. Anyone who boxes regularly knows that there’s no feeling quite like beating the heavy bag or the speed bag when you’re feeling stressed or angry. Whether the stressors in your life originate from the family, your social circle, work, or a combination of these factors and more, it’s easy to feel like you’re about to explode. But why take out these frustrations on your loved ones, acquaintances, or strangers in traffic? Boxing allows you to channel your rage and frustrations in the most positive and constructive way imaginable. You can leave your stress where you ought to leave it: at our boxing club. You’ll leave the gym feeling far more relaxed, able to focus on what you need to, and able to get a good night’s worth of quality, restorative sleep. You don’t have to simply take our word for it either: there is plenty of research that shows that people who train at a boxing clubs regularly, are far happier and far better equipped when it comes to dealing with stress. Turn your anger and frustration into happiness, one punch at a time. Boxing training doesn’t just make you lean and muscular, it also makes your bones and joints stronger and more resilient. Boxing also helps improve your posture. The end result is that you will be far less prone to physical injury. Boxing training focuses on a lot of different techniques to improve balance, given that a fighter has to be constantly maintaining their footing and stability despite the blows and feints of their opponent. Boxers become aware of the various determined points of support that help balance the body and know how to quickly reassert their balance when it’s compromised. If you’ve read this far and heard what we have to say, the chances are that you’re already super curious as to what boxing can do for you. Rest assured, that deciding to take up boxing training at our boxing clubs Bournemouth, Southampton or Gosport will be one of the best decisions you’ll ever make. We have the best equipment and the best instructors. There’s a feeling of camaraderie at the gym too that’s palpable. To find more about how you can transform your physical and mental well being by becoming involved in boxing, please get in touch with us today.